A 4-year-old girl in Prince George's County was dropped off at the wrong bus stop all alone after her first day of school. 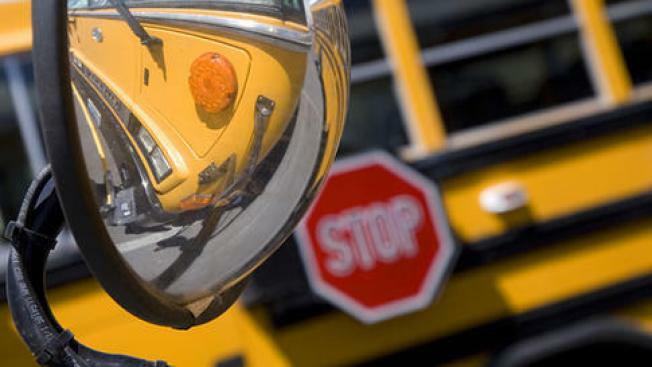 The child was mistakenly dropped off nearly a mile away from her assigned stop Tuesday afternoon, The Washington Post reports. Christal Lawson says she was waiting to pick up her daughter at the bus stop next to their home, but the girl wasn't on board when the bus pulled up. The driver told her he believed he dropped her off at another stop. Fortunately, a Good Samaritan helped Lawson's daughter cross the street, and the mother and daughter were soon reunited. Prince George's County Public Schools spokesman Raven Hill says prekindergarten students aren't allowed to leave the bus unless a guardian is physically present to pick them up. The district is reviewing the incident and disciplinary action could be taken.